E tū is extremely disappointed with a report which has found there is little evidence of steel dumping in New Zealand by China. The report details the findings of an enquiry by the Ministry of Business, Innovation and Employment into a complaint by NZ Steel that imported Chinese galvanised steel coil is subsidised, making it hard for New Zealand steel producers to compete. The report found no evidence of anything more than “minimal” subsidies, with the government announcing it won’t act on the complaint. E tū Industry Coordinator, Joe Gallagher says there are serious questions about the rigour of the research underpinning the report. “Only one Chinese manufacturer responded to questions from the enquiry about subsidies. The Chinese government barely responded either, claiming its steel producers wouldn’t cooperate. “MBIE admits its findings rest on “very limited information”, their words – then tells us that “on that basis”, it concludes that the Chinese subsidies are minimal. Joe says the government’s refusal to act is also “a further kick in the guts” for local steel producers who also face pressure from Emissions Trading Scheme charges and the threat of big price hikes by power industry lines companies. “There is clear evidence of an over-supply of steel coming in from China at below market prices,” says Joe. 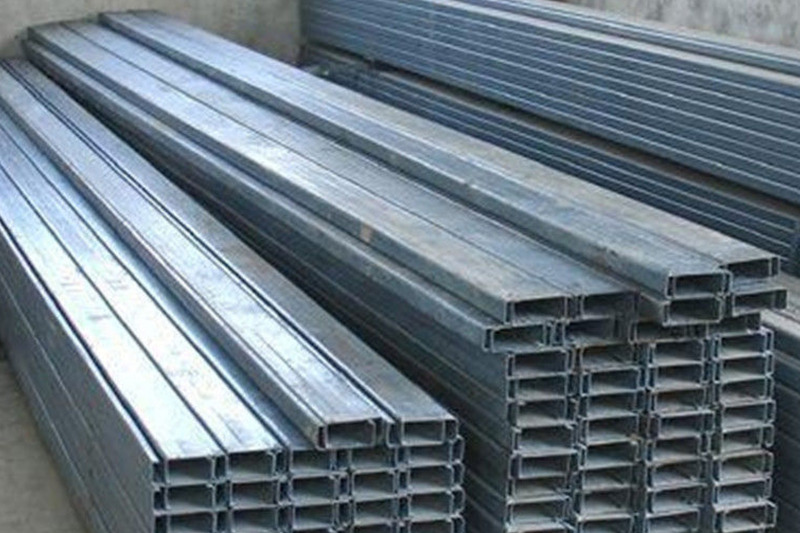 “There are no proper quality checks in China to make sure this steel is of the proper standard, such as are required of NZ Steel, and equally, there are no tariffs on these products. “It’s not a level playing field,” he says. Joe Gallagher E tū Industry Coordinator ph. 027 591 0015. 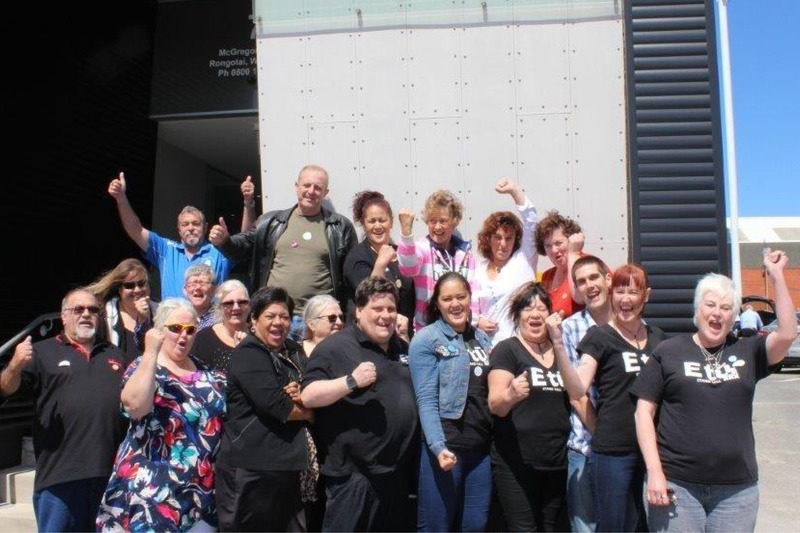 Yesterday, (Monday 3 July) the PSA and E tū met with the Ministry of Social Development and Oranga Tamariki to extend the pay equity settlement to vocational disability support workers. The Government negotiators and the unions have reached agreement on the text of the settlement and its coverage. The next steps will include agreement from the appropriate cabinet ministers and the signing of the agreement next week pending ratification. There will be a short ratification process, although as most vocational support workers have already ratified the agreement and legislation is required, it will be deemed to be ratified from 18 July. We will notify you of the details of the ratification meeting process shortly. It is agreed that the new rates will be back paid from 1 July 2017. 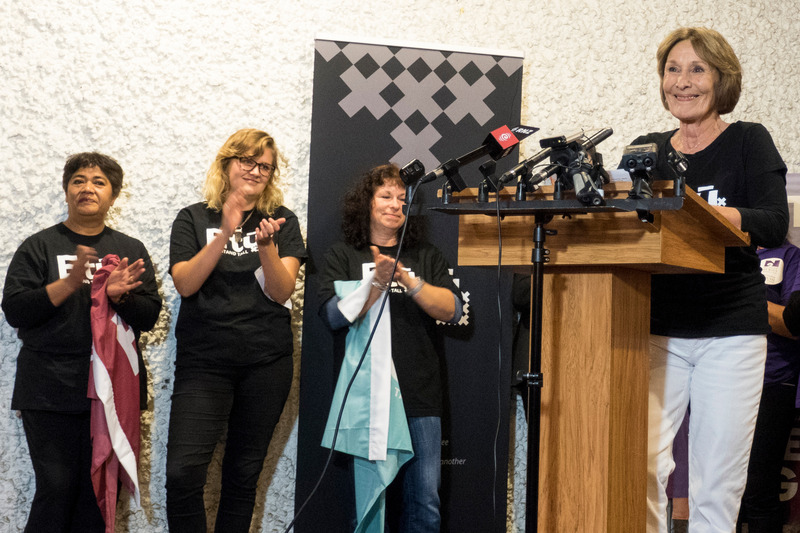 E tū and the PSA have filed a pay equity claim in the Employment Relations Authority on behalf of community mental health support workers. The current situation is causing a major imbalance and will affect the ability for the sector to attract mental health support workers. The first day of negotiations between the Unions, Ministry of Health and sector representatives is this Thursday 6th July. Please check your email for updates, and for information of union meetings to talk about the case. In the meantime, talk to your workmates about signing up to the union and supporting this campaign. Please call Union Support 0800 1 UNION if you would like further information about Equal Pay and what it means for you. With the final votes counted we can confirm that E tū members have ratified the new collective agreement for admin and support workers. The final vote was 604 in favour and 243 against – meaning 7 out of every 10 votes were to settle. It’s been a long year but firstly a big ‘thank’ you to all members for your hard work and continual support and dedication. Your membership has meant we have the resources to support each other at work as we deal with service reviews and disciplinaries, as well as mounting and winning the successful legal campaigns with Sleepovers, Home Support Travel Time, Home Support Guaranteed Hours. And now the Equal Pay Settlement for All Residential, Vocational and Supported Living Members. The new rates start from the 1 July 2017, and there will need to be an adjustment to this fortnight pay as Idea Services will be legally required to back date any back pay from the 1 July 2017. And ‘yes’ vocational are included. We thank you all for continually standing tall, despite the challenges from the Government and from within IDEA. Because of members like you, we overcame these challenges and achieved another successful campaign for members. Because of the delays, we don’t have long to wait until the next round of bargaining. Negotiations will start again as early as October and we expect to discuss the impact of relativities, the need to resolve equal pay for our admin members as well as ensuring the gains in Guaranteed Hours and health and safety are built on and enforced. On behalf of the E tū IDEA bargaining team.